The Persistence is several genres rolled together to create one singular experience. 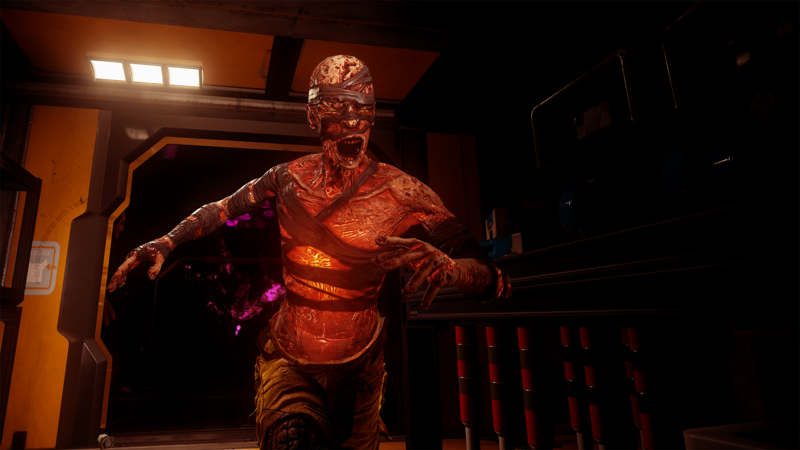 Characterized as a survival horror, procedurally generated, rogue-like, this VR title will have a new demo available on the PlayStation Store on December 18, 2018. This game places you onboard a spaceship after a black hole has wrecked the entire system. It’s up to you to set things right by navigating the ever-changing layout of the ship, all while taking out the mutant clones of your dead crew hiding around every corner. Originally released in summer 2018, The Persistence got a massive content update just a few months ago. This update added four additional game modes and additional accessibility features. Now players who have hearing impairments can enjoy the game by relying on visual cues, instead of subtle auditory hints. If this game’s difficulty concerns you, take solace in the recently added Assist Mode. It allows you to fine-tune your experience from damage reduction and slower speeds to auto shields and infinite ammo. The unfortunate reality of VR is that it’s difficult to effectively market, because gameplay that may seem unimpressive on a screen can be wonderful and immersive when players go hands-on. For this reason, demos are key to selling games and it’s something the PlayStation VR community is constantly demanding more of, making this good news for everyone involved. Take advantage of this free demo of The Persistence when it releases December 18, 2018.